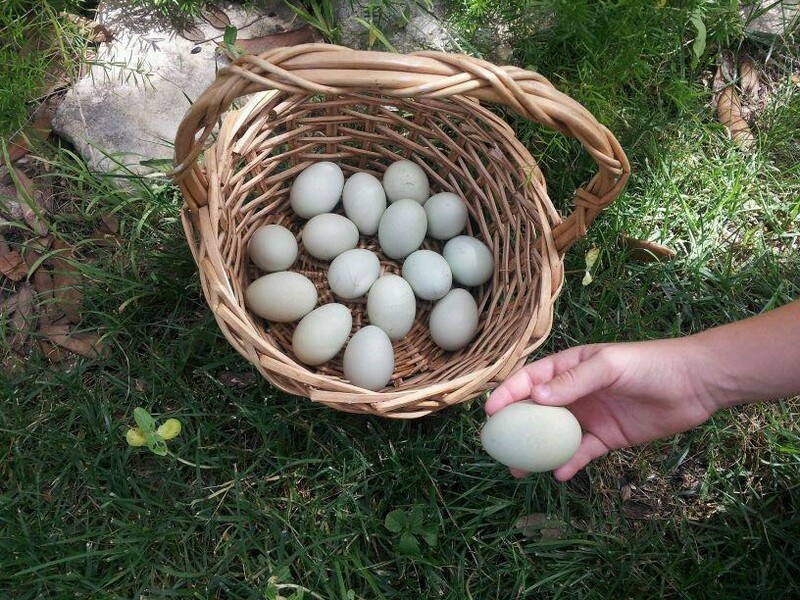 My cousin, his wife, and their nine-year-old twin girls love farm fresh eggs. They drove out to the farm so many times for eggs, that we finally just gave them their own hens. We put three big chickens in a cardboard box, closed the lid, and all they needed to do when they got home was to build a chicken coop. City ordinances in their town allow backyard hens, and the only requirement for the chicken coop is that it be no more than five feet tall. When designing your own chicken coop, the best plan is to keep it simple. All that chickens really need is a roof to protect them from rain and sun, and some kind of fencing to keep the chickens where you want them. My cousin’s twin girls are creative, intelligent, and absolutely adorable. They named their hens Chick-Chick, Cluck-Cluck, and Janet. 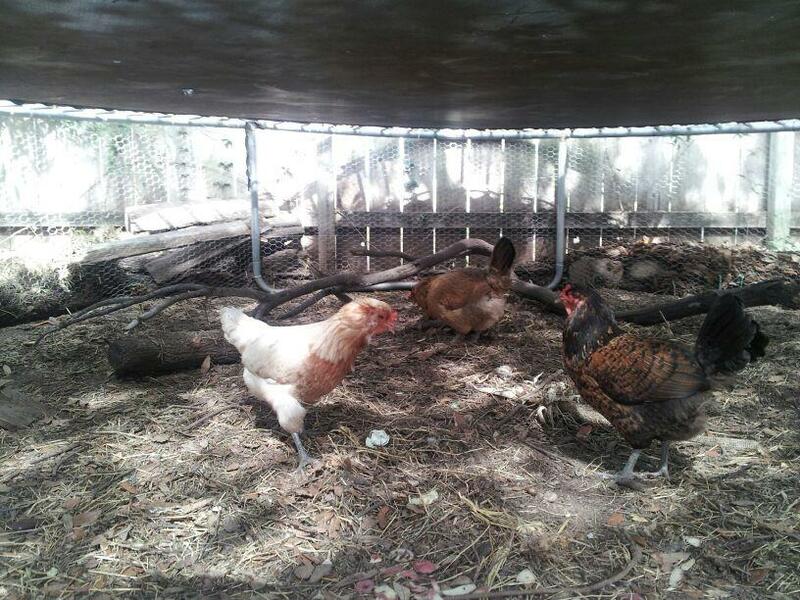 When they got home, the girls engineered a very clever solution to house their hens: they converted their trampoline into a chicken coop! First, they neatly attached wire fencing around the posts to keep the hens inside. The jumping part of the trampoline served as an excellent roof. 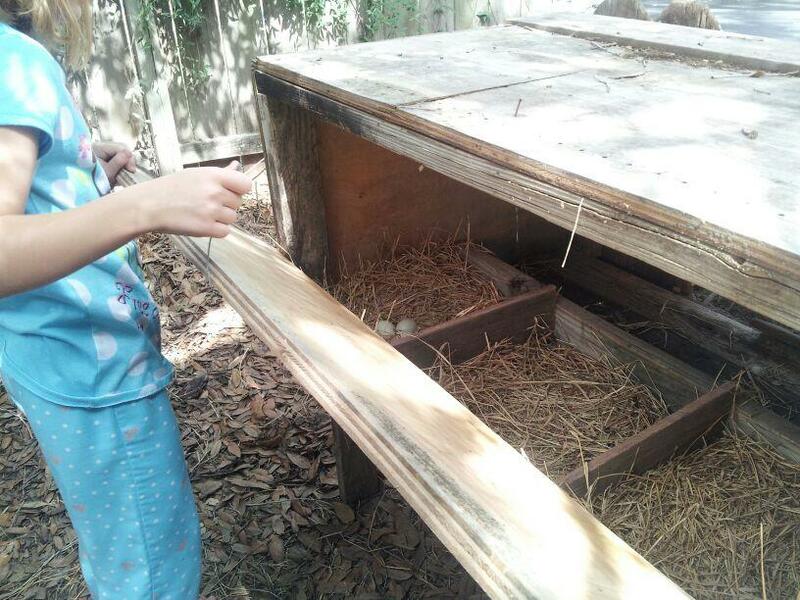 They made a simple nest box with a door in the back to reach in and collect the eggs. For a roosting perch, they used a fallen oak branch, perfect for the hens to climb on. And for bedding, they used their own raked-up leaves. The coop is light enough for my cousin to easily move around the yard, so the hens have continual access to fresh grass. 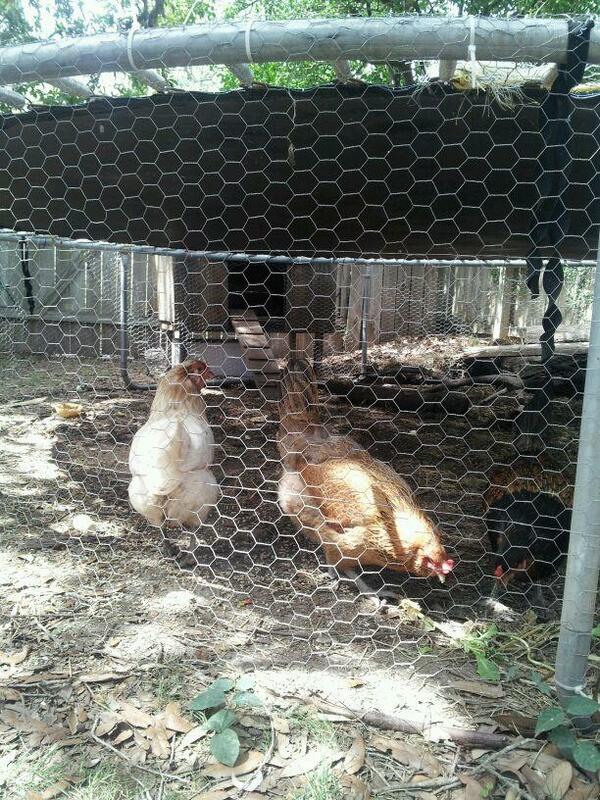 Or, they can leave the coop on the garden to prepare the soil for the next planting. The coop is neat and tasteful, and the neighbors have no idea there are chickens underneath. And best of all, the twins can still play on their trampoline, with the hens nesting peacefully below. 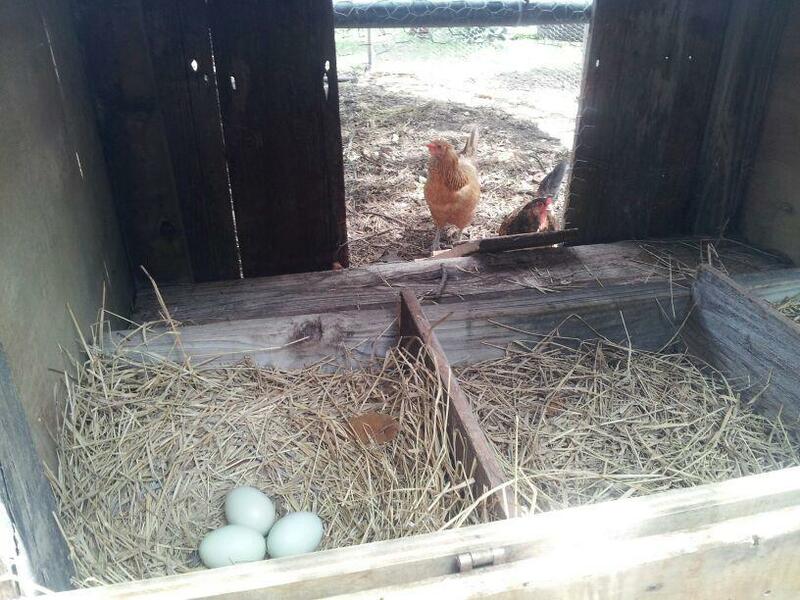 For most people, the challenge of the chicken coop is the main obstacle to keeping backyard hens. But chicken coops are easy. If you don’t have a trampoline, you can search the internet for endless examples of inexpensive chicken coop ideas. If you have a more upscale taste in chickens, Neiman Marcus sells a luxury chicken coop for the low, low price of $100,000. Or, Williams-Sonoma can ship you a chicken coop on wheels for only $1,500. The trendiest chicken coops in Texas compete in the Austin Funky Chicken Coop Contest, and you can vote for your favorite. 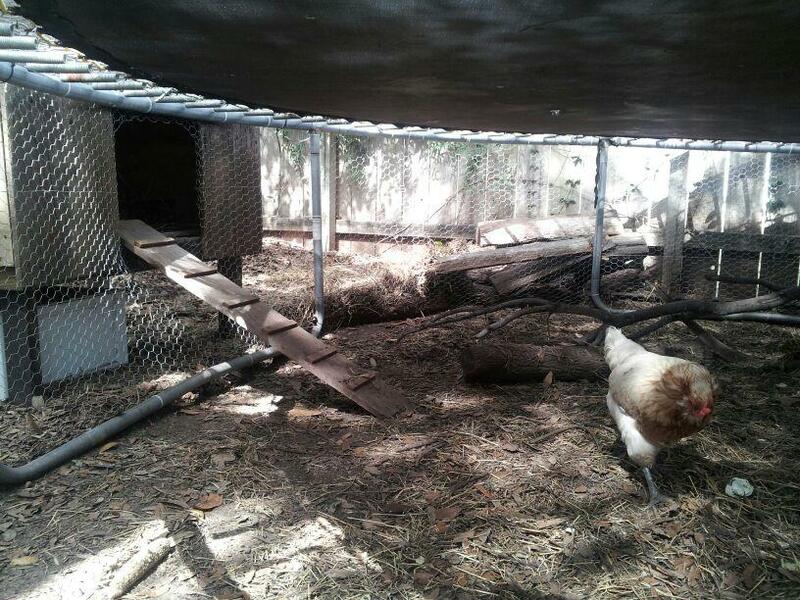 Still, I think the chicken trampoline wins the prize for ingenuity, functionability, and hilarity. The next time I visit, I won’t be surprised to see the twins, and the hens, all jumping on the trampoline together, everyone having a great time, and I don’t think it will hurt the eggs one bit. « A Gardening Class this Sunday, plus Much More! Thanks Agi! I am lucky to have such clever friends and family! Hi Pam! I LOVE that idea! Please feel free to share a picture of your coop! You can post a picture right here in the comments. Chickens make easy and nice pets, plus, they make eggs! Thank you Pam! Brilliant idea! Turning a trampoline into a chicken coop. Having fun and looking after the chicks at the same time. Clever girls! I am surprised that it does not scare the chickens when you play on it! It is funny what chickens can get used to! Laughing and shouting children don’t bother the chickens, as long as the chickens have a good roof over their heads and can feel like they are hiding. I kept chickens under a trampoline as a child. I thought I was the only one. It’s such a clever idea!